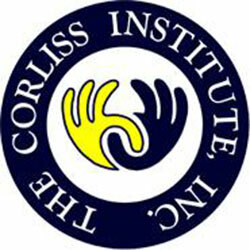 Corliss provides specialized training to meet individual needs in a Center-based Day Program. The program runs Monday through Friday from 9am to 3pm. Individuals are supported in activities of daily living in addition to employment preparation. Individuals are also supported interacting in the community with visits to the local Y, weekly bowling outings, and other events of interest to our participants. There are a wide range of activities to choose from such as computer use, reading, writing, and exercise. Participants are trained in all aspects of work habits to prepare them for future employment in the larger community. The Corliss Center is designed to enhance learning in a real life setting. Our clients enjoy cooking classes in our real kitchen along with learning appropriate cleaning techniques that they can apply in their home. We have a computer center that tailors individual and group training regardless if clients are beginners on computers or preparing to work in an office on a computer. The academic program focuses on everything from reading and writing to money management skills that staff help them utilize in the community. The Day Program also provides social and relaxation time where clients participate in arts and crafts activities, play games with their peers or enjoy movies in our movie area. The Day Program also provides various role playing activities which are then transferred to the community.